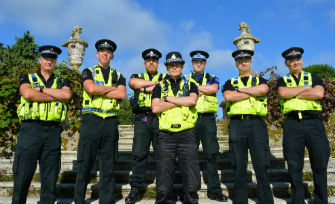 Within 100 days of office, a dedicated Rural Crime Team was implemented to provide a specialist approach to addressing the concerns of Dorset’s rural sections. Rural crime accounts for a large proportion of Dorset Police’s demand and there are significant pressures on rural police forces. By introducing this team, more proactive work can be done to target this area of specialist criminality. Business owners and residents who are victims of rural crime, often have their livelihoods destroyed due to the severe impact it can have. As a result, neighbours and those in the local area often live in fear of becoming a victim themselves and as a result, fear of crime is often high in rural communities. The team will also educate residents and business owners, encouraging them to follow crime prevention advice to minimise their chances of becoming a victim of crime. This includes restricting access to their land and property by using locks, ensuring homes and outbuildings are alarmed, immobilising farm vehicles when not in use and marking equipment with postcodes.